A lot has changed since we started out in the world of exhibitions in the 1990s! Gone are the days of painted wooden structures with vinyl branding which sometimes stuck and sometimes didn’t! Exhibition stands have become a lot more sophisticated over the past twenty years thanks to advances in technology. More specifically, advances in exhibition materials, audio-visuals and printing methods. The exhibition structures themselves have grown significantly in terms of size as well. Nowadays, exhibition stands over two floors are not uncommon. Double height structures with two floors enable exhibitors to ‘super-size’ their branding. Similarly, above head height lighting and double height graphics cab be used to draw potential customers into the stand. Advances in large format printing have helped to create high impact stands. Here at 200m2, large format printing technology underpins everything we do. We regularly produce super-sized branding on large display panels which simply clip into place between the exhibition stand framework. High impact graphics maximize visitor exposure to the brand image and values. 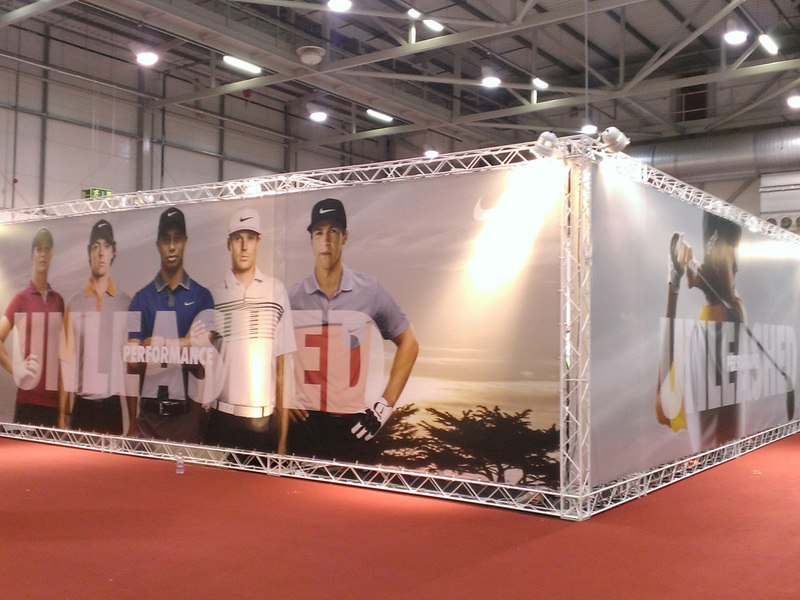 In essence, the exhibition stand has become the brand showcase. It’s no surprise therefore that organisations are investing more and more each year in their exhibition programmes. AND with the rising cost of other forms of promotion such as online or digital marketing, exhibitions are delivering a steady return on investment. It seems there is no substitute for getting up close and personal with the people you plan to do business! If you’d like to discuss exhibition stand branding or exhibition management as a whole, we’d love to hear from you. From exhibition stand design to large format exhibition display panels, 200m2 delivers solutions on a global scale to suit almost any budget. Call us today on 020 33320092 to see how we can help. Next Next post: The Ultimate Mobile Exhibition Stand?